These cute flowers make a perfect boquet for a birthday card. 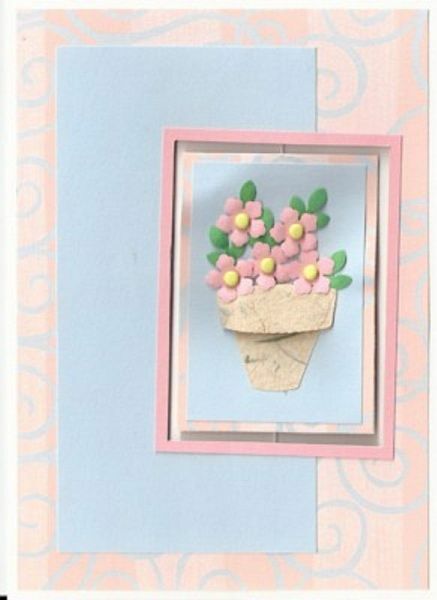 The rectangle the flowers are mounted on hangs from an aperture in the card so that it can turn freely. There is a birthday message on the other side.